The Pan-Canadian Assessment Program (PCAP) is the most recent commitment from CMEC to inform Canadians about how well their education systems are meeting the needs of students and society. The information gathered in these cyclical tests of student achievement in reading, mathematics, and science provides the provinces and territories with a basis for examining their curriculum and improving their assessment tools. As school programs differ from one part of the country to another, making comparisons of results is complex; however, these tests help determine whether students across Canada reach similar levels of performance at about the same time in their schooling. The first PCAP assessment took place in 2007. Prior to this, the School Achievement Indicators Program (SAIP) had been in place since 1993. The provinces and territories, through CMEC, developed SAIP to assess the performance of 13- and 16-year-old students. Between 1993 and 2004, SAIP assessments were conducted nine times – so that each of the core subjects of mathematics, reading and writing, and science was tested three times. The tests were given to a random sample of students and were conducted in French and English. In 2003, CMEC recognized that a new pan-Canadian assessment program was needed to reflect changes in curriculum, integrate the increased jurisdictional emphasis on international assessments, and allow for the testing of the core subjects of mathematics, reading, and science. PCAP responds to these goals. In addition, during each test one subject is the focus of the assessment and the majority of the students write the test on this subject. However, the other two subjects are also tested, with a smaller number of students writing the tests in those subjects. 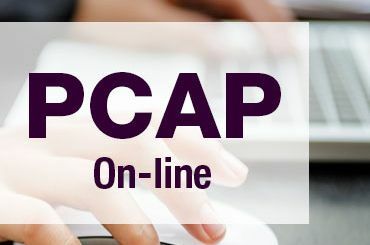 In this way, PCAP provides results in all three subjects. All students answer questions in all three domains; however, one subject is the focus of the assessment and other two subjects are minor domains. Sample sizes have permitted results to be calculated at both a pan-Canadian and jurisdictional level. PCAP, and SAIP before it, is not intended to replace provincial and territorial assessments, but rather to complement them. Given the random sampling and the nature of the PCAP assessment, it is also not a measure of individual student achievement. On a program level, jurisdictions can validate the results of their own assessments against PCAP results as well as those of the Programme for International Student Assessment (PISA). The results are valid only on the pan-Canadian and provincial levels. No results are attributed to individual schools or students. PCAP does not assess individual student achievement. The PCAP and SAIP assessments have also included information on the contexts in which mathematics, reading and writing, and science education take place in Canada's education systems. The context information is collected through questionnaires completed by students, teachers, and school principals. Students respond to questions concerning their learning environment and the importance they ascribe to the subject being tested.